When running a restaurant, especially one with an online presence, depending entirely on paid ads and word of mouth alone is not a sustainable method of marketing your business. Yes, paid advertising will definitely give your restaurant an excellent return on investment when done right, but what happens when you’ve spent your entire marketing budget? And what if you don’t even have a marketing budget to begin with? With the internet growing as fast as it is, the online space is incredibly competitive. As a restaurant owner, your main concern should be how to set yourself apart from the many restaurants opening on the daily. One of the many strategies to secure a market for your restaurant is through SEO or search engine optimization. Read on to learn everything you need to know about search engine optimization for your restaurant, as well as a few local SEO tips and free tools to get you started. Briefly, SEO (search engine optimization) involves everything that helps grow your restaurant’s internet presence - mainly through your website. SEO does not include paid promotion through online advertising and is primarily concerned with organic discovery of your restaurant. With restaurants in particular, SEO involves maximizing the outreach of your restaurant online through the use of targeted keywords and location tags. The purpose of these keywords is to optimize your website for search engines, allowing people to find your restaurant when looking for places to eat. What is SEO Content and Why Does it Matter? To understand what marketers mean by 'SEO Content', it is often times helpful to break down the phrase into its component parts. As mentioned above, 'SEO' stands for ‘Site Engine Optimization’ and is the process of bringing your website or online content up to standard so that your potential customers can easily find you online. The ‘Content’ in ‘SEO Content’ refers to any of your restaurant’s information that lives on the web and can be found by your potential guests. This includes everything from blogs and website pages, to photos and restaurant information. 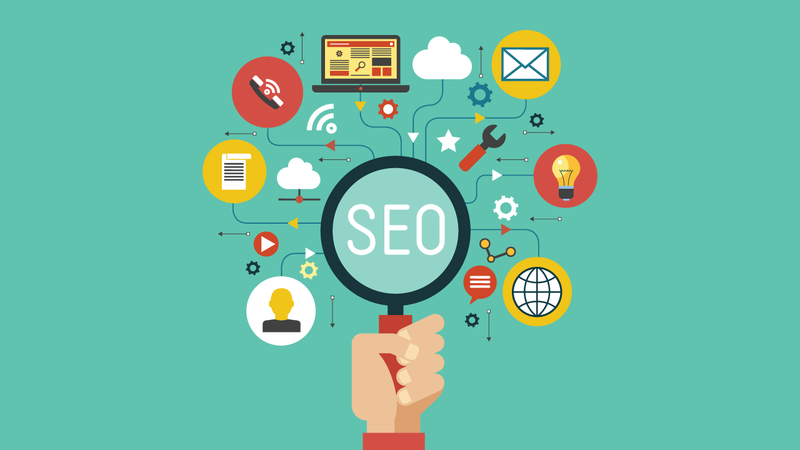 Why is it important for your website to be SEO-friendly? Optimizing your restaurant’s website is the best way to reach a larger number of customers through search engines. Potential customers looking for a place to dine often are in a hurry and will not look past the first few search results before making their decision. By optimizing your restaurant’s website, you are giving yourself a better chance of showing up within the first page of search engines like Google and Yahoo. This puts your restaurant menu, address, phone number, and any other information right in front of your potential customers. Restaurant SEO can be improved in a number of ways. By using keywords that make sense in the scope of a restaurant, you will slowly begin to rank across search. Below are a few of the most impactful changes you can make to your restaurant’s website to start ranking online. Populate your restaurant website with as much information as possible about your venue. This includes your address and phone number. Display this information as prominently as possible. High quality images across your website with alt text. Alt text is the text that shows up in case there was a problem loading the image, so the user has context. Search engines like Google reward pages that use alt text where necessary by bumping up their page rank. Your menu, if possible don’t use a pdf menu but instead a text menu. Pdf menus are not searchable and so by using text you increase the likelihood someone will stumble upon your menu. Customer reviews, make sure these too are in text format. Make your website as mobile friendly as possible, there is no excuse for this tip. A website that does not take its users into consideration at the most basic level will not rank in search as highly as one which has. Make sure you invest the right time into creating a mobile friendly version of your website. Put yourself in your visitor’s shoes when designing your website to make it as user friendly as possible. Ensure your website is a quick-loading site. Google tends to reward fast loading websites and punishes those that are slow. Make sure that each page uses the correct Meta tags. This includes SEO titles, descriptions and any other SEO info that your website allows you to fill in. Use keywords across your pages but don’t oversaturate them. Keep a steady stream of content flowing through your website, a great way to achieve this is by starting a blog. SEO is a tough concept to fully comprehend, especially if you are attempting to learn it from scratch. With that being said, it is extremely important for restaurant owners in particular to make an effort to figure out how to make SEO work for their business due to the competitive nature of the industry. Below we have highlighted 10 free seo tools that are sure to get you on the right track. Google Analytics: This free resource is by far the most important tool for restaurant’s trying to understand their performance online. Google Analytics allows restaurant owners to learn more about their website visitors and how they interact with their business online. If you are trying to cut back on paid advertising, Google Analytics also does a great job of displaying organic search metrics, showing you how your website has improved over time due to local SEO strategies. Google Search Console: While Google Analytics provides you with insight into what people are doing on your website, Google Search Console tells you exactly how they got there in the first place. By knowing the search terms your visitors are using to find you, it allows you to cater SEO-friendly content to target those searches. Google Trends: The online world is remarkably fast paced, sometimes too fast. Google Trends helps you spot trending topics before everyone else in the world. Allowing you to create SEO Content tailored to what everyone is searching. Increasing the likelihood that potential customers will stumble upon your restaurant’s website. Google Keyword Planner: Google Keyword Planner is a great all-in-one keyword solution by Google. The keyword planner can help restaurant marketers generate a list of keywords to target with a few clicks. The comprehensive report shows monthly search volume, competition, and suggested bids for paid advertising. It can also be used to search for similar keywords to expand your list. Google PageSpeed Insights: One of the biggest contributors of good SEO is site usability. Google PageSpeed Insights allows you to enter your website URL and check loading times, as well as basic site performance. The service will also make recommendations of things that need to be fixed to improve usability. Keywordtools.io: This is another keyword search service; except that with keywordtools.io you enter a single keyword and it will provide you with 700+ longtail keyword terms. This is great if you are planning on putting together blog posts or website content targeting a single keyword. Similar Web: Have you ever wondered how your competitors are doing online? Similar Web can tell you that. Using this free website will tell you exactly how you are doing with comparison to your competitors, allowing you to attempt to outrank them in search. SEM Rush: SEM Rush is great if you have a handful of keywords you are trying to rank your restaurant for in Google search. You can use this service to track these keywords over time and see how you rank for them compared to your competitors. Keeping you up to date on your web performance. Screaming Frog’s SEO Spider: Once your website gets bigger, you are going to lose track of all the pages you have posted, making it difficult to perform your routine upkeep. Screaming Frog’s SEO Spider is a great tool to combat that issue. The software will scan your entire website, ensuring that there are no dead links (which Google hates) as well providing you with a site map for your website. Google Search (in incognito mode): Last but not least, the best free SEO tool is simply, Google Search. By using Google Search in Incognito mode you prevent the search engine from auto filling the search box with your previous queries. Instead, as you type Google will suggest things other people searched. This is indicative of what people are trying to look for online and should help you put together a list of keywords for your restaurant. Now that you know how to use Local SEO and a suite of free SEO tools to improve your web ranking, it's time to start turning that traffic into reservations at your restaurant. Download our guide to online booking widgets below to learn how you can convert your website visitors into paying customers.